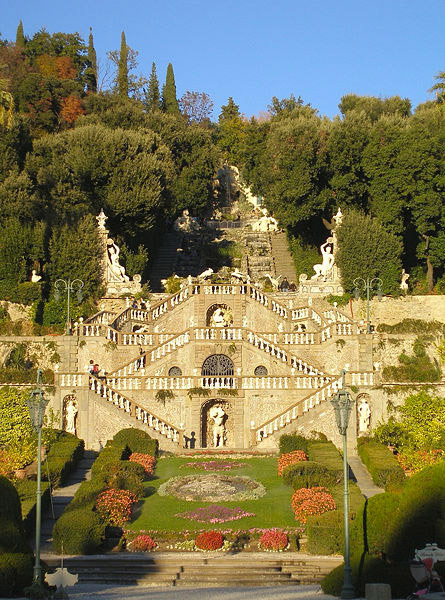 Villa Garzoni or Garzoni Garden was built before 1652 by the Garzoni family, near their old castle, which stands slightly apart and is a beautiful example of Baroque style. 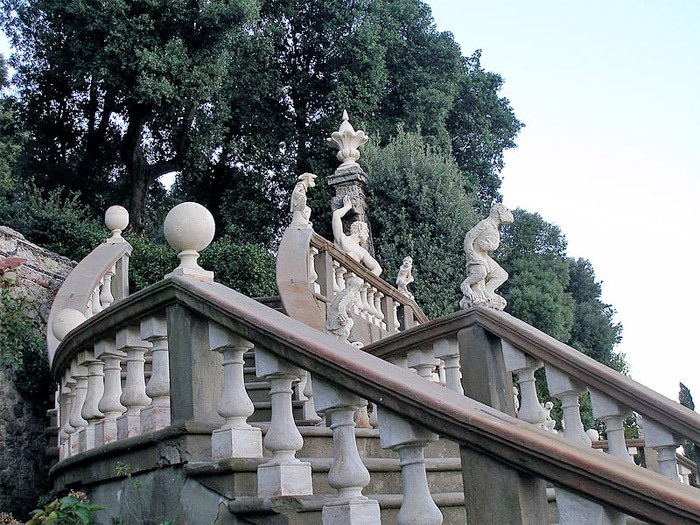 Villa Garzoni at Collodi, Lucca, Tuscany, features a garden with a number of pagan statues, fountains and watern garden (giochi d’acqua) at the foot of a series of terraces and symmetrical staicases connecting the lower water gardens at the base of the hill. 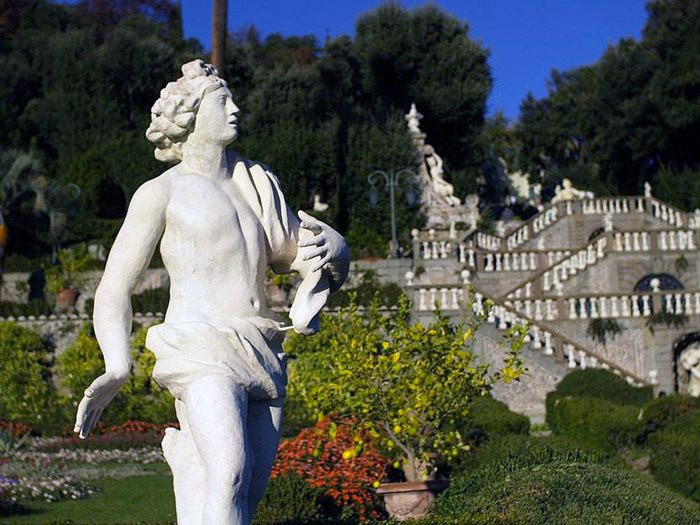 The villa, which was thoroughly rebuilt in the eighteenth century, belonged to the Garzoni family until the beginning of the twentieth century. 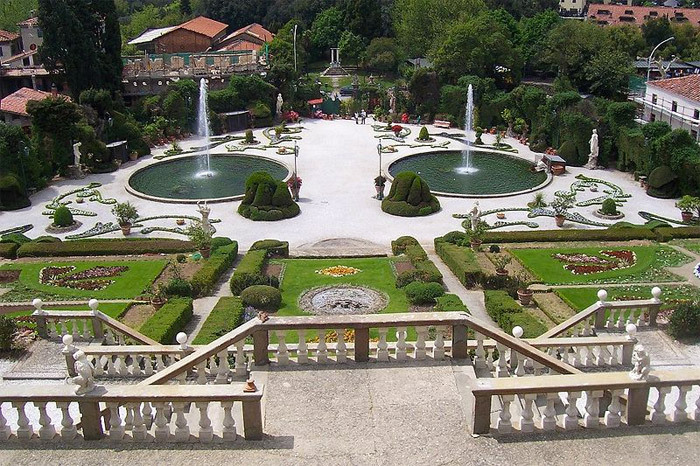 The garden has a bamboo wood, mythological statues, caves, greenhouses, bridges and a maze. 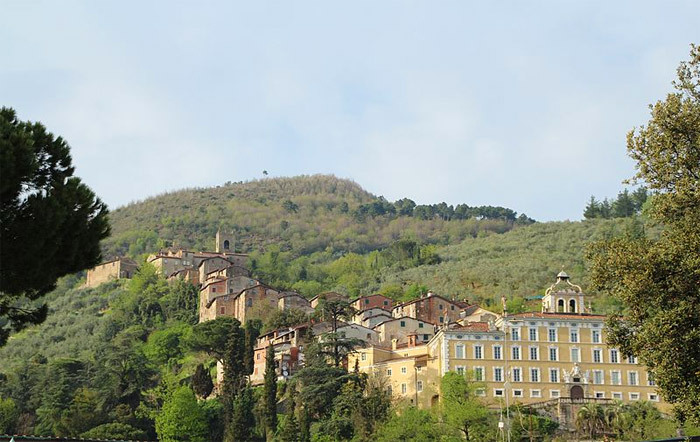 The father of Carlo Lorenzini (Carlo Collodi), the author of Pinocchio worked here as a gardener, while her mother was a waitress. 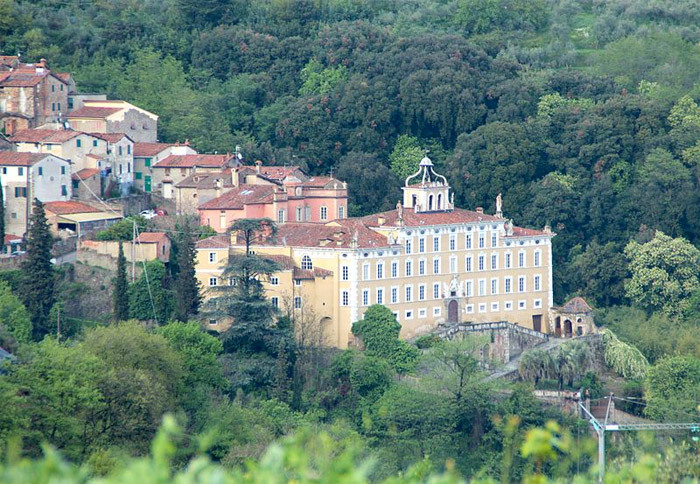 Collodi spent most of his childhood at the Castle.